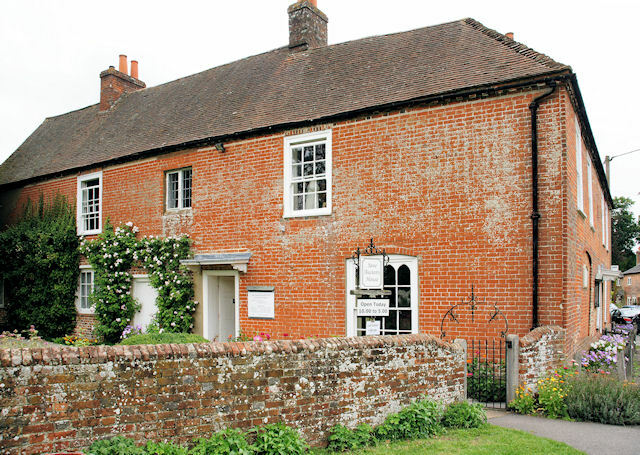 If you’re having a holiday in Hampshire and are a lover of classic literature then a trip to Jane Austen’s House Museum is a must. Although the collection is quite small it’s got some very significant items in it and once you’re there these five must-see exhibits have to be on your list. See where some of the world’s favourite books, including Pride and Prejudice and Emma, were written. Unlike the desks of today’s modern writers, which tend to be laden down with books, papers and technology, it’s most notable for its diminutive size and sparseness. The museum rotates the letters from Jane that are on display and they are housed in temperature and humidity controlled drawers to protect them. Depending on when you visit you might see a letter she wrote about her excitement at receiving her first copies of Pride and Prejudice. There’s a leather-bound first edition of this novel on display too. As well as a successful novelist, Jane was an accomplished musician and her collection of music books featured almost every type of vocal and instrumental music available at the time, with the pieces in them ranging from the late 1750′s to around 1810. Many of them have Jane’s own annotations written in them. Famous for her penchant for jewellery that is ‘ neat, plain and set in gold’ the collection has a small collection of the jewellery that Jane wore throughout her lifetime. One of Jane’s rings, which was bought by American singer Kelly Clarkson at a Sotheby’s auction in 2012, caused a media storm in 2013 when the Jane Austen House Museum raised the money to stop it leaving the country and bought it for its own collection. There really was no end to Jane’s talents and she was also an accomplished seamstress. The patchwork quilt that she made with her mother and sister is also on display at the museum. The design has been a subject of conversation for quilters and design historians the world over for many years. Once you’ve seen all the items on this list then you could also take part in one of the many writing workshops that the museum hosts. Or you could time your visit to coincide with the musical event taking place in the gardens in June. The singing and dancing that will take place on the day has been inspired by Jane’s Naval connections (her real life sailor brothers and Mansfield Park) and will focus on the influence of the sea and war on the life of villages and villagers in the late 18th and early 19th centuries.